Given the fact that every other entry on the album was worked up in the studio, the various early takes offer added intrigue. The order of the set list remains the same (a snippet of the discarded song “Harry” being the only additive added to the running order) but given these early unheard versions and the additional takes that take up much of disc two, the genesis of these performances clearly is clearly illuminated. Joplin’s initial stabs at “Piece of My Heart,” “Summertime” and “Turtle Blues” are reflected by multiple entries, each showing the singer becoming increasingly engaged and digging deeper even as her vocals overtake the band’s backing performances. She tugs on an emotional reserve reflected through the final takes, but her performances are clearly consistent even early on. The most fascinating offerings here are the songs that initially got away: “Farewell Song” (shared in two separate takes), “Catch Me Daddy” (offered through three early entries), “Flower in the Sun” and a spontaneous studio workout titled “How Many Times Blues Jam.” Each proves to be an indelible effort, thanks to the synergy between band and singer as well as Joplin’s determination to assert herself at the fore. Some may argue that the original version of Cheap Thrills ought not be overshadowed, and that is a valid point. 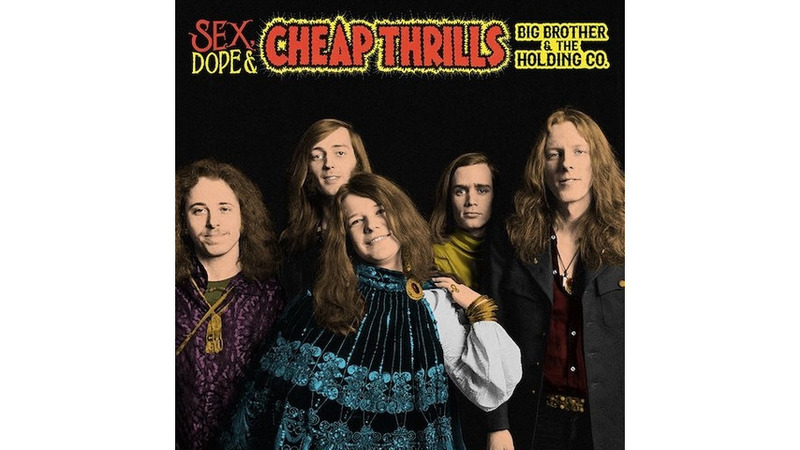 After all, it was the record that gained the group its notoriety and made Joplin the star she was destined to be. Still, it’s fascinating to peer into its early origins as deciphered by the early attempts to pull it together. Likewise, liner notes from Joplin’s sister-in-arms Grace Slick and Big Brother drummer David Getz provide additional insight and historical perspective. Indeed, when Slick describes her initial reaction to Joplin’s singing as “spontaneous explosions of every emotion — no holds barred,” it’s clear she’s speaking not only for herself, but for all who were originally mesmerized and are still held in thrall half a century on.